We finally received a decent rainfall last night with about .6" falling after 11:00 PM. All's not perfect though, I went out this morning to find some ugly, nasty storm damage. 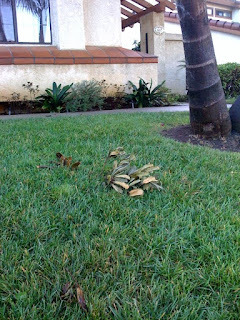 I sure hope the landscaping crew comes by this morning to clean it up.